1 Samuel 1:1-2 1Now there was a certain man of Ramathaim Zophim, of the mountains of Ephraim, and his name was Elkanah the son of Jeroham, the son of Elihu, the son of Tohu, the son of Zuph, an Ephraimite. 2And he had two wives: the name of one was Hannah, and the name of the other Peninnah. Peninnah had children, but Hannah had no children. Setting: In the past week, I have seen 3 different reactions to our elections: REMINISCE, RESIGN, and RETREAT. There are several problems with this view. In some sense, we are like Rome – one of the wealthiest nation, largest military, largest multi-ethnic population. We also seem to have the same problems that Rome did – moral problems, breakdown of the family unit, too many laws and lawsuits, weak borders. But when you truly compare them, there are more differences than similarities. Foundation: Rome was founded upon myths and mythologies of gods and goddesses; America was founded upon Judeo-Christian principles. Church and Christians had hardly any voice in Rome; Christians are still a strong majority in this nation. 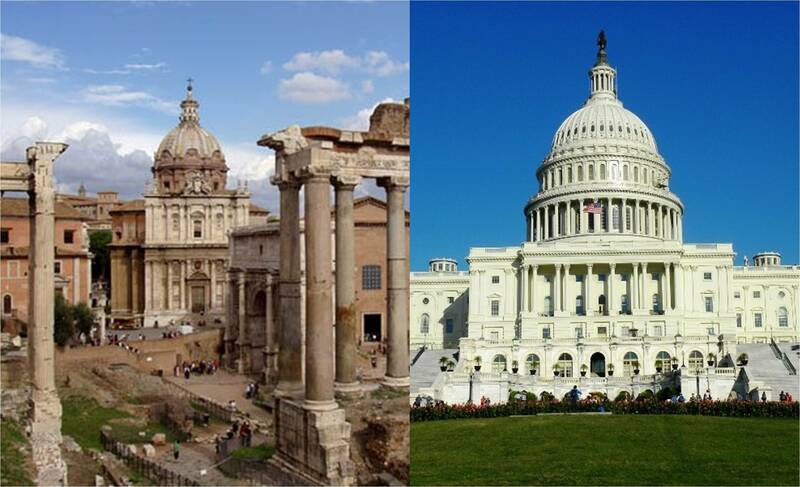 Attitude towards other countries – Rome conquered people and made them Romans; America has brought freedom and liberty to many peoples so they could hold their own elections. Although it sounds spiritual, there are several problems with this view. If our Christian ancestors through the centuries had believed this way, infanticide and child abandonment would still be legal; gladiators would have continued to die in their brutal battles-to-the-death; human sacrifice would have continued and wiped out many nations; pedophilia would be perfectly legal; polygamy in the Western world would not be a problem; burning alive of women in India would have continued; Slavery and slave trade would have continued; and the list goes on. 3. RETREAT – Let’s just get ready for Jesus to come. My study of the scripture tells me that Jesus will return again. Did you know there are 300 prophecies in the OT of the first coming of Christ? Did you also know that there 500 in the OT about His Second Coming! If you add up all the verses on the second coming from the OT and NT, the total is about 2400! In the NT itself one out of every 25 verses has to do with the Second Coming of Jesus. Bottom Line: Jesus is coming back to make all things right. But I want you to understand something. Things don’t have to be bad for Him to come. We or the world cannot expedite His coming. He could come right now for the church—in the blinking of an eye—and then the Tribulation will begin. You and I cannot set the calendar for the rapture by the events in the world. 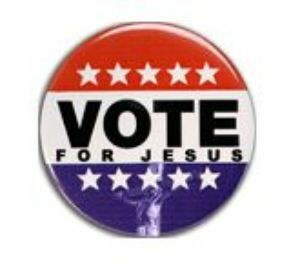 So if the 3 different reactions to our elections—REMINISCE, RESIGN, and RETREAT—are wrong, how are we as Christians to live in a time like this? What’s next for America? There was a period in the history of the people of Israel that resembles our time today. This was a very difficult time in the history of Israel. It was a time of change and transition. The old order was being pulled down and the new order was going up. The old order of the judges was being pulled down and the new order of the kings was going up. Things were not going too well. 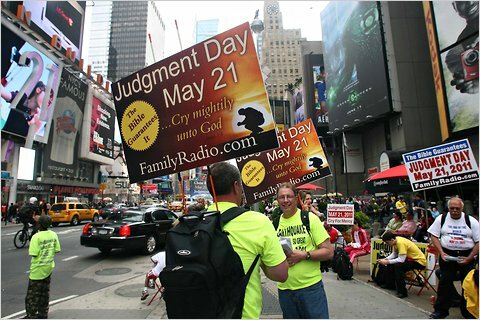 Listen again to Judges 21:25 In those days there was no king in Israel; everyone did what was right in his own eyes. – Canaan had been conquered but it was far from being subdued. – In the South, the Philistines were still in control of 5 cities. – Jerusalem was still under Jebusite control. 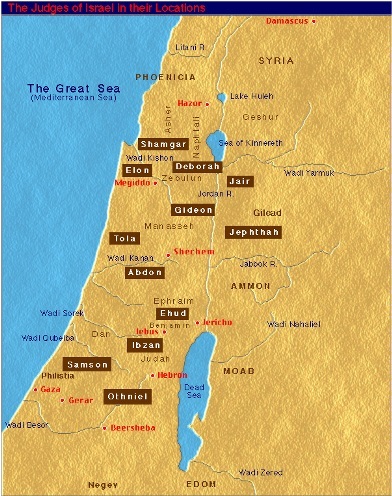 – The Seacoast was still in the hands of the Canaanites. – The little kingdom of Gezer was still independent. – To the north – the mighty kingdoms that Joshua had conquered were still not completely in control. Why did God allow this? Why didn’t God help them win over these nations? Did you hear that? The reason behind their defeat was God! God allowed those nations to remain. Why? To test them; to teach them war; to give them a backbone and muscle. Application: Isn’t this the situation in our own lives. We have wars when we were hoping for peace; frustrations instead of rest; turmoil when we wanted tranquility. Why? God is testing us. He is teaching us to war. So that we may know ourselves; know God; rely upon Him; call upon Him. So that we may become strong in the Lord. So also for our nation—God is testing us. He is teaching us to war. He is building some backbone and some muscle in us. Just when we were hoping for peace, there is turmoil. Just when we were hoping for a solution, we have a problem. All this is for our good. Back to the story of Israel—how was God teaching them to war? When the Philistines and the other nations would come against Israel, God would raise up a judge to lead his people to war. This person would rally God’s people and teach them to war. This was the time that God raised up a Gideon, Barak, Sampson, and a Deborah. If it wasn’t for God leaving these nations, we would have never heard of them. Nevertheless, their impact was limited. There was no central government. The nation was on the brink of falling apart from the inside and outside. Application: Doesn’t this somewhat describe our nation? God has bailed us out time and again. He has raised a leader here and a leader there – a D.L. Moody here and Billy Graham; a James Dobson here and James Kennedy there. But their impact has been limited. By the way, it might be worth mentioning here that the priesthood had also become corrupt. 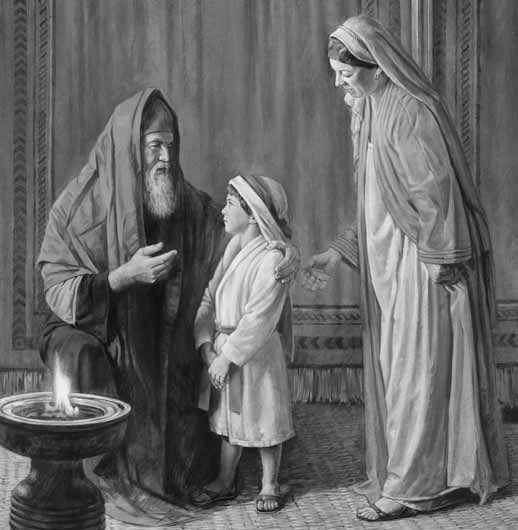 The High Priest’s (Eli) sons, Hophni and Phinehas, were stealing from the people. The judges could fight against the enemy but they couldn’t fight against the priests. It was time for a change of order. God was ready to bring down the order of the judges and set up the order of the Kings. Application: People have asked me repeatedly in the past few days. What is God up to? Is God punishing us? Has God abandoned us? To the contrary, He is setting up a new order. He wants to teach His people to war. He wants to test us. He wants to build us up. For too long we have sat comfortably thinking that everybody thinks like us. Not true! He is bringing in a new order of things. He wants to bring about national unity. He wants to turn the hearts of the people back towards Him. If anything, the past week has shown that we are a nation divided. Back to the history of Israel—how did God go about bringing a change? God’s greatest gifts come through sorrow and suffering. That which costs nothing will achieve nothing. Application: We are enjoying the blessings of this great nation because others have paid the price. For e.g. Did you know that many of the soldiers who fought in the revolutionary wars did not have shoes? Washington had to plead with the Congress to get the men some shoes. They had frost bites. They had no food. They slept out in the cold. We have forgotten them and not to mention they many many others who have given their lives through the years for our nation. It began with a woman named Hannah. She was the second wife of a man named Elkanah. She was barren. Her sister wife would mock her and mistreat her. 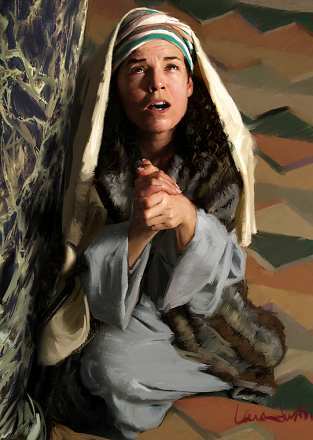 One day when they went to the house of the Lord, Hannah slipped away by herself and began to pray. God heard her prayer and in time she had a son named Samuel. True to her word she gave him to the Lord. – This is the Samuel who went up and down the length and breadth of Israel to unite the people. – This is the Samuel who set up the order of the Kings. – This is the Samuel who replaced Saul with David – the true King. Through that line came Jesus—the son of David—whose kingdom will never end. All because one young woman suffered and pleaded with the Lord and kept her word to the Lord. She could have hung on to her only child but she gave him for the service of God. Application: What is God doing in America? He is pulling down the order of the judges and raising up the order of the kings—boys and girls who will conquer this world for Jesus Christ. We may have to suffer a while. We may have to give up some personal comforts. But in the end, the reward would be worth it. I am more hope-filled than ever about our nation. Because now God is getting ready to raise up Davids and Daniels and Esthers. What is God calling you to do to bring our nation together? Do you know Christ as your Savior? Are you telling others, especially the young generation about Him? Thanks Scott! God Bless you friend!